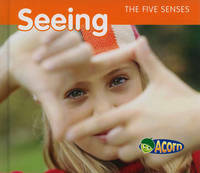 Books in this series introduce readers to the five senses through simple text and vivid photographs. Each book focuses on one sense and the associated sensory organs. In Seeing, readers learn how they use their eyes to see, how to keep their eyes safe, how some people wear glasses to see better, and how some people do not see at all."